Even before I get myself this username (timdream) and polluted the search result, search result of that term will give you a link to on LogicError, appropriated titled “Tim’s Dream for the Web”. 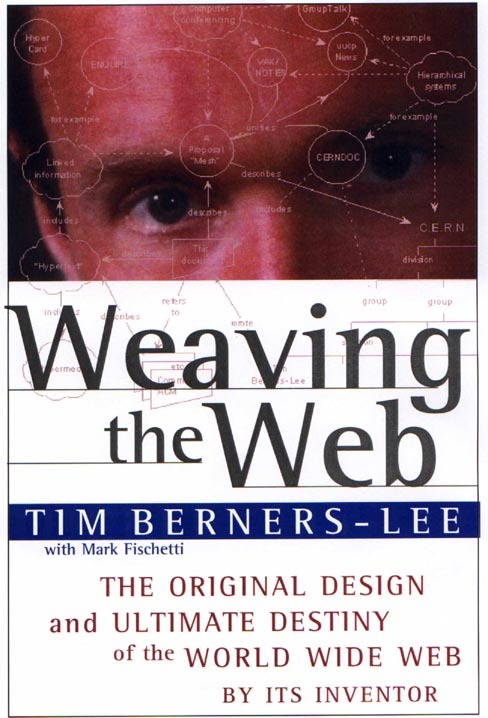 That “Tim” was Sir Tim Berners-Lee, and he imagines the Web to be the powerful means for collaboration between not only people, but machines. Weaving the Web, credit: W3C. Collaboration between people has been closer than ever because of the Web. It have already grew closer thanks to the technologies set branded as “HTML5”, and the technologies will only grew stronger, hopefully beyond the catchphrase. As of the machines, a form of Semantic Web is indeed slowly emerging, but not in the ideal open, collaborative way and in a more top-down, proprietary approach, limited to the centralized design in which many are asked to interface with few proprietary platforms who encapsulates all data. It’s a good thing for people to start enjoying what it is possible when the data is linked — yet, having them linked in a more open way while safeguarding our privacy remain the work to be done. This week we saw the 20th anniversary of W3C, and the HTML5 spec reaches Recommendation status — the events themselves are testimony of the rough history of the Web. I remain cautiously optimistic on this one — the organizations rally on this front is largely intact, and people will, eventually more aware of the danger when as they enjoy the convenience of the technologies. The LogicError page was in my bookmark since a long time ago, like Firefox 0.8-ish, but not until now I realized LogicError is in fact an Aaron Swartz project. The footnote itself, with the name, kind of say something. This entry was posted in Thoughts and tagged Planet Mozilla, Planet MozTW. Bookmark the permalink. Share the short link.